SEO Company in Mumbai uses SEO to get the website in the top search engine. The SEO Circle, SEO Company in Mumbai can be hired to make sure the top rated search engine has their website on the high rank.Search Engine Optimization or SEO is a process where the websites or web pages can be viewed as search engine’s results.There are many Advantages of SEO. It is also addressed as natural results earned from a search engine. Search Engine Optimization work on presenting a list of results with the frequently visited site at the top. It is based on an internet strategy where it finds out the way search engines work, the information people search and the terms users type in to search. 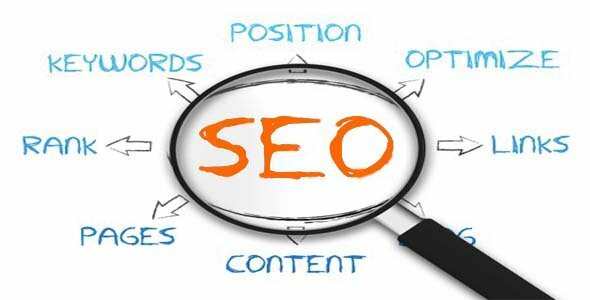 Preventing crawling, indexing and increasing prominence are some methods used by SEO. SEO also stands for Search Engine Optimizer which is a term used by industry. They are actually SEO service provider or SEO companies who carry out the SEO work for client websites. They use the Search Engine Optimization to increase the visibility of the website on the search engine. You can hire any such SEO service provider or company to improve the business and increase the result listing. SEO Circle is one SEO Company in Mumbai capable for providing solutions for SEO ranking.SEO Circle provides services the enables the site to be accessible to the search engine. SEO Circle, SEO Company in Mumbai first assesses the performance of the website by finding how many times it has been visited and all. We create a report based on the assessment of the performance. Then strategy is planned to make sure the website is ranked high in the search engine. Using keyword analysis, Back links, page optimization practices etc. the SEO rank can be hiked. The strategies are planned according to the need of the websites. The Search Engine Optimization techniques are used by SEO Circle, SEO Company in Mumbai to lead the website in ranking which can increase your profit. There are services that are meant for commercial websites as well as non-commercial websites. The skills include organic search management services, SEO solutions, search engine services and computable campaigns for better ranking.